MEYLE-HD water pumps for a longer service life! Because we want you to be on the safe side. 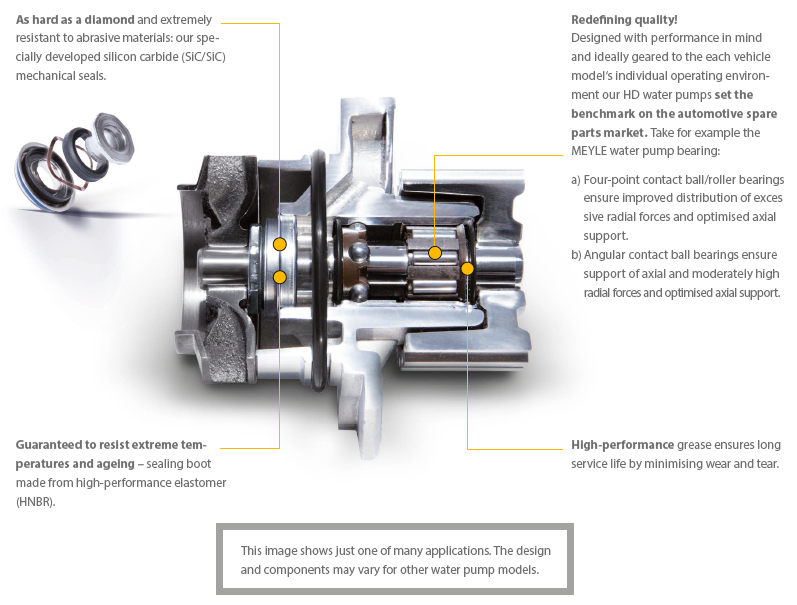 MEYLE-HD water pumps impress with robust components like extremely wear resistant SiC / SiC mechanical seals and water pump bearings with the highest resilience. Our unique warranty for MEYLE-HD water pumps: 4 years and parallel 100,000 miles*. Notes: Seven Groove Pulley. from engine # 40 777760 from 11/10/07 Including engine #’s, 40 245018, 40 245688, 40 261518, 40 262013, 40 410505, 40 570659, 40 616488, 40 686689, 40 691703, 40 705929, 40 766649, & 40 768618.